What are some signs you should look for when you think an individual is addicted to prescription drugs? Many people believe that if a medication is prescribed by a doctor, that makes it perfectly safe. The reality is, that many of these prescription drugs carry a high risk of addiction. If you think that someone you know or love has a prescription drug addiction, keep reading for some important signs to look for. If someone who at one point was financially secure is coming to you asking for large amounts of money, it could be that they are addicted to prescription drugs. Sometimes, when someone has an addiction and they are purchasing prescription drugs from dealers, they may make up stories about how “they don’t have the rent money” or “don’t have money for a car payment”. They always promise to pay back, however, they rarely do. It could be that this money is being used to purchase drugs. If the person who you suspect has an addiction suddenly has a completely new group of friends, this could be a cause for concern. While it’s normal to make new friends, very rarely will someone abandon all of their current friends for a totally new group of people. It could signal a problem. They may be socializing with people who can help them with their addiction, or supply them with the prescription drugs. Does the person who you are concerned for constantly miss work or school? 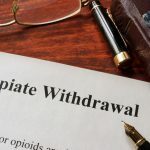 While it is perfectly normal to take a sick or personal day here and there, those with addiction problems often miss excessive time from their daily responsibilities. It could be because they are suffering withdrawal symptoms, or for any drug-related reasons. If you suspect that someone has an addiction and this person misses excessive amounts of work or class time, it may signal a problem. Does the person with a possible addiction neglect showering, wear old, dirty, or wrinkled clothes, or just not care about their appearance? Often times, someone who has an addiction problem and previously took pride in how they looked begins to neglect themselves. Does this person wander through their days with messy, dirty hair, unkempt clothes, and a lack of personal hygiene? This could be a sign of addiction. If the addict is a friend or family member who spends time at your house, you may notice that things often go missing. If you’ve noticed items being taken from your home, especially items of value, such as jewelry, it could be that this person is stealing from you. They could be collecting items to sell for money to purchase prescription drugs from a dealer. You may notice that money is missing from your purse or wallet. Often times, someone with an addiction will look for cash in other people’s personal belongings. Someone with an addiction to prescription drugs will go to any length to get them. If they cannot purchase them from a dealer, often they will make up reasons to go to a doctor or hospital to obtain a prescription. These people often exaggerate small illnesses or slight pains to try to get a doctor to prescribe medications. If a person who was once honest and open has suddenly become deceitful and secretive, a prescription drug addiction may be to blame. This person may be constantly lying to cover up the fact that they have an addiction. They could lie about illnesses, or lie about where they’ve been, who they have been with, and what they’ve been doing. The secrets are usually covering up the fact that they are abusing prescription drugs. When someone goes to multiple doctors or does not stay with one doctor for a long amount of time before moving on to a new professional, it may be that they are “doctor shopping” for someone who will write a prescription for them. If someone is addicted, and their doctor will not prescribe the medication they are addicted to, they often try to find a new doctor who will give them a prescription. Or, they go to multiple doctors and obtain prescriptions from each one. This signals a serious problem that needs help. An addiction to a prescription drug can be devastating not only for the addict but for their family and friends as well. It causes a lot of pain for everyone involved. If you are noticing signs of an addiction in someone you know or love, help is available. Don’t blame yourself for their addiction, instead, offer to help them get the professional care they need to overcome this serious problem.